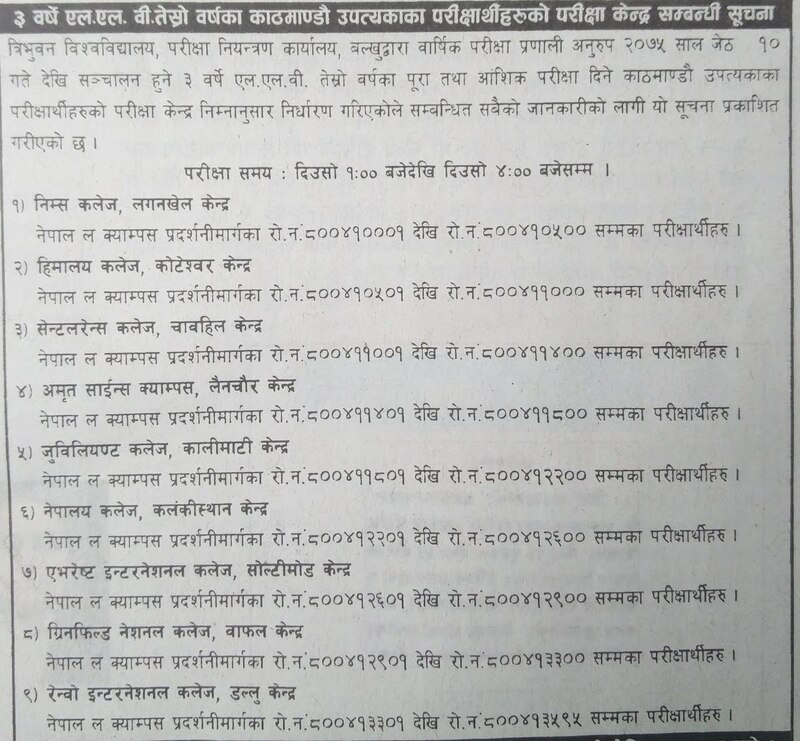 Today, May 22, 2018 [8 Jestha, 2075], Tribhuvan University [TU], Office of the controller of examination, Balkhu publishes a notice for the Examination Centers for upcoming 3 Years LLB Third Year according to the yearly examination calender. 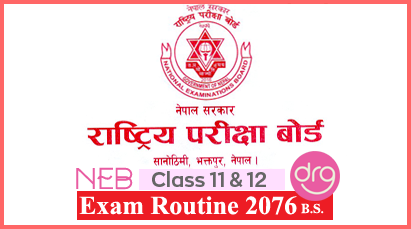 The examination will start from 10 Jestha, 2075 [May 24, 2018] and ends on 1 Ashad, 2075 [June 15, 2018]. 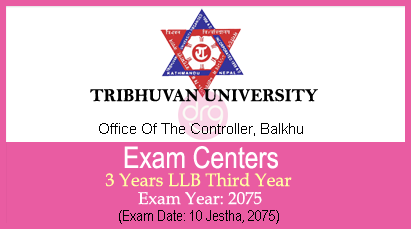 See the notice image below - Examination Centers for 3 Years LLB 3rd Year Published by TU. 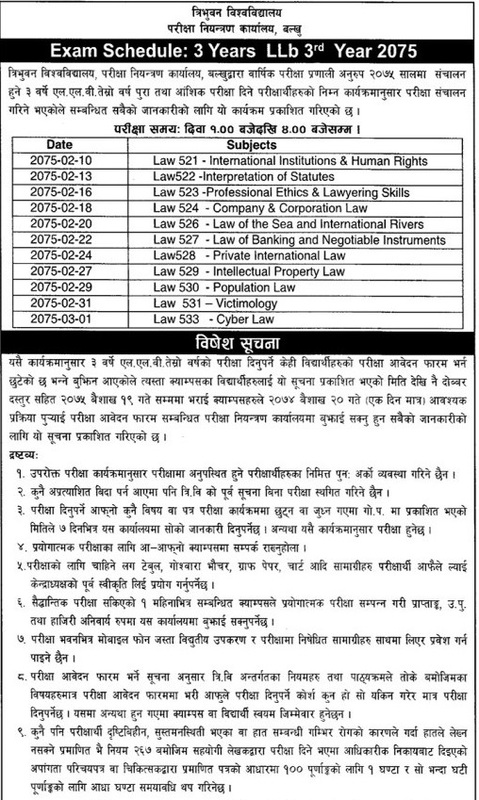 0 Response to "Exam Centers For 3 Years LLB | 3rd Year | Exam Year - 2075 | Kathmandu Valley | TU | + ROUTINE"